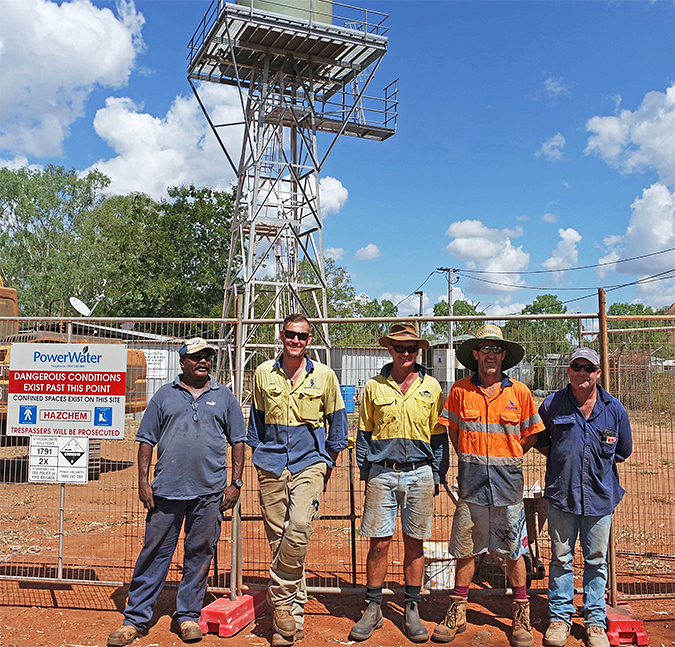 Power and Water Corporation is upgrading Mungoorbada’s water infrastructure to help ensure a longer-lasting and safe supply of drinking water. 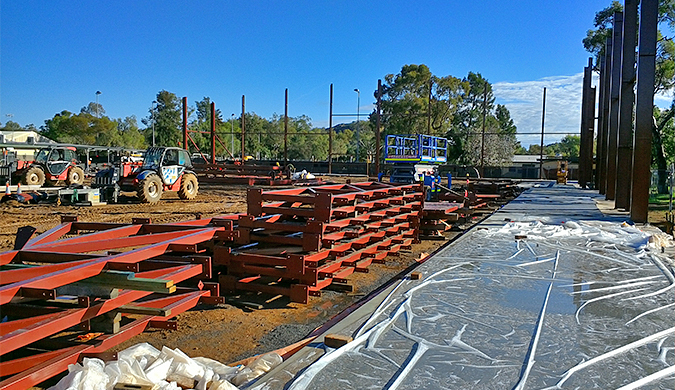 The new $6.25 million netball centre in Alice Springs is starting to take shape with block work to the perimeter of the stadium now complete. Glen Helen Resort has been transformed following construction of a multi-space terrace area designed to enhance views of the stunning landscape. Students from the Clontarf academies at Tennant Creek High School, Centralian Middle School and Centralian Senior College manufactured billy karts at the recent Clontarf Billy Kart Derby held at Yirara College on 9th June. 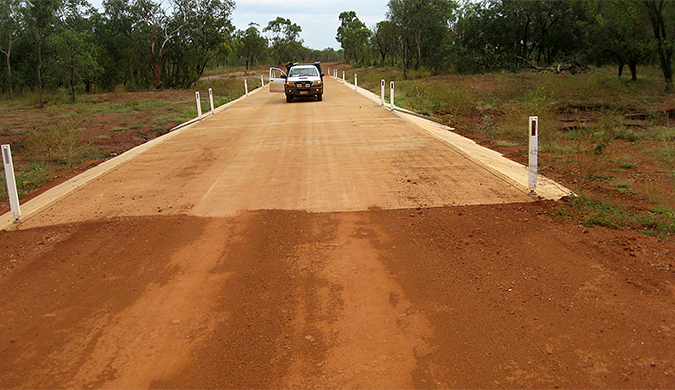 A new causeway has been constructed providing critical all-weather access to the remote town of Robinson River. 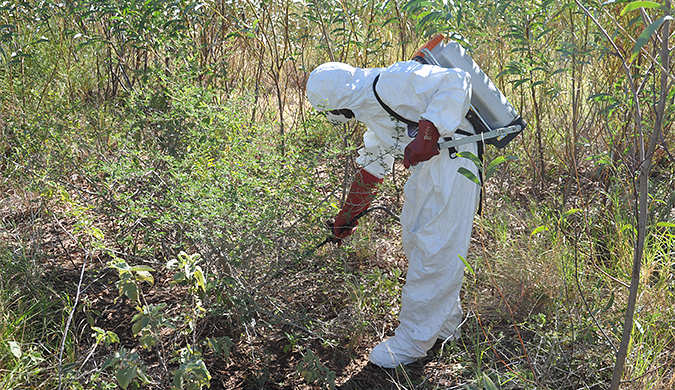 The Legacy Mines Unit of the Department of Mines and Energy awarded a tender to the Jululikari Council Aboriginal Corporation to conduct a weed survey and subsequent control activities on mining tenements in the Barkly region. Ntaria School recently embarked on an eight day journey by horseback to Alice Springs as part of a VET pathways course in rural operations, agriculture and tourism. Housing upgrades in Elliott north and south town camp and Marlinja outstation are progressing well, with ten houses completed and two more currently being renovated. A total of $500,000 in assistance is available for the Alice Springs community affected by the severe hail storms of Friday 17 June. 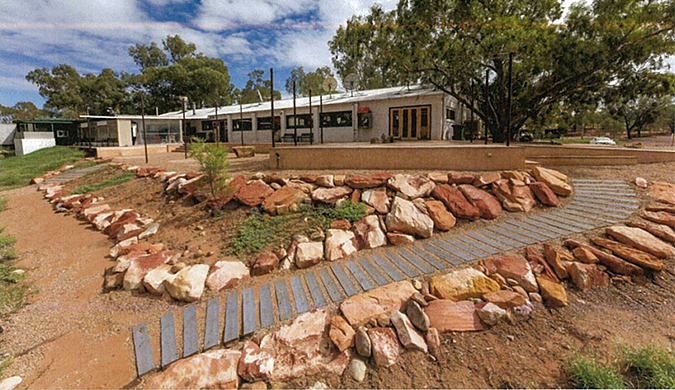 The tourism appeal of Kings Canyon and Central Australia has been enhanced by a raft of improvements, thanks to over $600,000 in funding provided to local businesses from the Northern Territory Government’s Tourism Infrastructure Development Fund.